The list price for this print alone (unmatted) is $600. A very unusual image. I'd say..."get ready for some fresh chicken for dinner tonight kids". 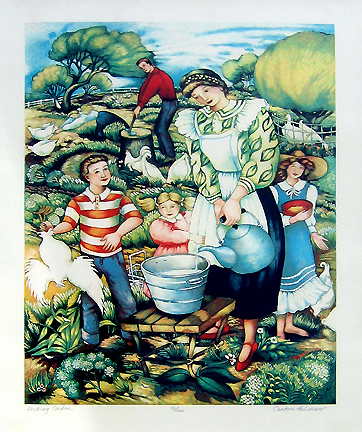 The image was produced entirely by the artist.The color plates were produced under the supervision and approval of the artist. The printing elements were hand drawn on mylar and then aluminum plates were made from these overlays. Two matted prints are available. One is gray and the other a blue-gray. The print will be shipped flat. We do not have the documentation. 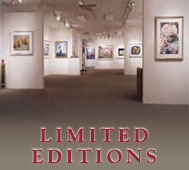 Leslie Levy Fine Art, Inc. Note: Limited Edition prices subject to change. All images are copyrighted and are the property of their respective owners. copyright laws and is strictly prohibited. ©Leslie Levy Fine Art, Inc.